UN staff federations took their concerns about moves to privatize the Fund to the annual Pension Board meeting held in Vienna in July 2016. Last Friday, CCISUA briefed staff at UN HQ New York on issues of continuing concern, including chronically elusive information about the extent and status of the protracted backlog in pension payments; fractious staff management relations in the Fund; retaliation against Fund staff; investment underperformance; lack of oversight and control over investment outsourcing; issues of competency and oversight in the Board coupled with increased secrecy in its activities; a need for major structural changes to preserve the health of the Fund; and some ways that the owners/stakeholder can help to bring about necessary change. In the run-up to the annual Pension Board meeting held in Vienna in July 2016, almost 15,000 participants and beneficiaries signed a petition calling on the Board to reject proposed financial rules that UN staff federations said were designed to move the Fund toward increased privatization, including outsourcing of investments; rescind a new human resources policy that would remove UN protections from Fund staff; and pay new retirees on time. CCISUA stated at the briefing that Board members had confirmed that moving the Fund gradually out of the UN and creating an independent structure was indeed the goal of the new financial rules and delegation of staff management. The petition created press coverage and brought the issues to the attention of the Board. The Board looked at the issues and decided to approve the new financial rules; retain the new human resources policy; and provide a positive evaluation of the CEO despite protracted delays in paying new retirees and survivors. Staff management: Attempts by the CEO to revise the Memorandum of Understanding delegating autonomy to him over staff management issues had failed last year. However, a memorandum from the Office of Human Resources Management that surfaced last year had quietly given power to the CEO over staff management, without the checks and balances provided by the UN Secretariat. The Fund wanted powers not available at the UN, e.g., to promote staff from G to P outside the examination procedure, and to retain staff well beyond the age of retirement. There was no explanation from UN Management regarding the memorandum. Backlog in pension payments: Despite being warned by Fund staff, the CEO had failed to put a credible backup plan in place for the new IPAS system. Protracted delays of six months for new retirees and survivors had been experienced. The CEO claimed to have met performance targets and had reduced the backlog by 90 per cent at the end of May 2016. Published figures demonstrated that the backlog had only been reduced by 50 per cent. In fact, the figures for the extent and status of the backlog, and the methodology used, changed constantly and indications are that the backlog will not be resolved until 2017. There were also attempts on the part of the Fund to shift blame from the Fund to the parent organizations. The Fund had refused an offer from DFS (Department of Field Support) to provide staff to help with the backlog. Fund staff is doing their utmost but there is “task force after task force” while funds for temporary assistance are left unused. There are 23 participant organizations and a Pension Committee that assists with ensuring that the required documentation is received by the Fund. The General Assembly pays $10 million every two years to fund these costs but the tasks are not done and this must be corrected. Evaluation of the CEO: A Committee of four persons set up to evaluate the CEO over the past two years, looking at the issues brought by the staff federations including the backlog and protracted late payments, gave him a positive evaluation. The CEO was trying to use the evaluation in the GA to get his contract renewed a year early (it expires at the end of 2017). The staff federation had taken a strong stance that the CEO should be evaluated at the end of next year and that consideration should be given to looking for new candidates. There is a lack of respect for beneficiary rights and a failure in the primary mission on the part of the Fund (liabilities), headed by the CEO, which is responsible for paying benefits. The Secretary-General on the recommendation of the Board appoints the CEO. To extend him now without the recommendation of the Board would be a breach of procedure. Regarding allegations of fraud against the CEO, OIOS stated that it had investigated the allegations and found them to be baseless. However, some key witnesses were never interviewed. Compensation for retirees subject to late payments: Fund staff had very early on perceived the danger of delays in pension payments associated with implementation of IPAS (IT system used by the Fund) and had proposed that provisional estimated benefits be paid immediately upon retirement. This was not implemented. The three UN staff federations in February 2016 signed a letter with a common position, that 30 days after payment of the last salary, new retirees should receive a pension benefit if they so requested. This is the minimum in today’s world where military services personnel receive their pension benefit in a very timely manner. 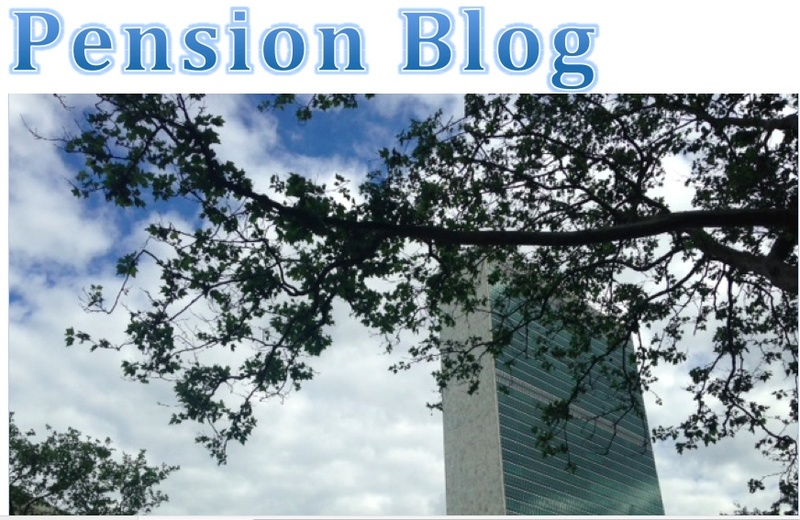 Some institutions in the UN system make pension payments in the last month before retirement. There is no reason why the current system is maintained including for some of the most vulnerable, including locally hired staff who find themselves out of a job when the mission downsizes. The Fund has said it intends to digitalize document requirements, but so far that had not been done. The Fund Secretariat had made no proposal to the Board in this regard, and the Board decided that payment would be authorized by the CEO three months after all documents had been submitted. Since a regular benefit is due at that time, there appeared to be no rationale to the Board’s decision in this regard. Role of the RSG: In the past a UN staff member, loyal to the UN, who supervised a D2 Director of Investments in the Fund, performed the functions of Representative of the Secretary-General (RSG) part-time. Currently there’s a full-time RSG based in the Fund, who is not part of the UN management team. This relationship weakens the link between the Fund and the UN. Investment outsourcing: While there may be valid reasons for investment outsourcing, discrepancy in information about this practice had created confusion. The CEO said there was zero outsourcing while the RSG said there was 15% outsourcing. What is concerning which the staff federations fought with some success, is that when investments are outsourced, there is a lack of transparency and control in the procurement procedures for evaluating the companies, including fees paid. The staff federations’ position is to press for internal management and for the health of the Fund to be maintained. The Fund has been successful because of internal management. The view of many, which had also been expressed by the RSG, is that outsourcing is not better and is more costly. In addition, leaked documents had revealed that there were investments in weapons and tobacco. While these may yield high returns, they do not comply with UN principles and ethical standards. Board lack of transparency: This year, staff federation representatives, with observer status and normally allowed to make a statement to be attached to the report, were muzzled. Board members were made to sign a confidential agreement stating that they were not allowed to share information with stakeholders. The Board attacked press coverage in strong terms. Retaliation against staff in the Pension Fund since the Board meeting is also a concern. Despite the confidentiality requirement which every board member, staff federation representative and participant representative were made to sign, many documents are public, including the Pension Board report, A/71/9, which will be available shortly, as well as the ACABQ report and the report of the Board of Auditors, which contains a number of criticisms. While there are personnel matters discussed at the Board that should not be divulged, the secrecy issues are very concerning, and criticism toward staff observers who discuss the financial rules and how Fund assets are invested was completely unwarranted. It was very important that transparency standards be maintained in all UN bodies. Functioning of the Board: While most pension boards consist of 7 to 8 financial experts who meet monthly to monitor the work of the fund, the Board of the UNJSPF, consisting of 33 members of whom l/3 are diplomats, l/3 are appointed by the UN Administration, and l/3 are elected by UN staff, meets a single time each year. The UN is two-thirds of the Board's weight in terms of financial contributions. There was competition among the members of the Board and a tendency for the agencies to play off one another. In addition the members of the Board of Auditors tend to be government related and not experienced in pension funds. Role of participant representatives and upcoming elections: Elections of participant representatives were held four years ago and those representatives are still in place. It is important to pay attention to evaluating candidates for the positions of participant representatives to the Board. It may appear that our representatives on the Board are doing their jobs, but sometimes this is not the case. Regarding investment underperformance, the FAFICS representative to the Board had pointed out that if investments had been properly managed, the Fund would not have lost $750 million. The UN Federal Credit Union (UNFCU) held assets valued at 8-9% of the size of the Fund, yet UNFCU’s Board of Directors met twice a month (24 times per year). Another participant said that in his experience there was much more transparency in the investments he held outside the Fund and that he wished for similar transparency from the Fund. In response to concerns raised by several participants regarding oversight over outsourcing, a participant said that outsourcing was not a new development in the Fund. It had been practiced for 30 years, and there were controls in place. Outsourcing occurred because the Fund does not have expertise in certain areas, e.g., such as real estate. Investments in arms and tobacco were not done ‘consciously’. The Fund did not have the human resources to ensure that investment ‘baskets’ did not contain arms and tobacco. An IMD staff member said that criticism of the Fund in terms of investment performance and oversight were unjustified, and the Pension Committee met 10-12 times per year. A staff member noted that the Fund was healthy because of its tradition of conservative investments. The SG should exercise his fiduciary responsibility to ensure that the Fund avoided investment losses, and stakeholders of the Fund had the right to information and transparency. Whatever the Fund was paying in fees to external managers should be paid to retirees instead. Responding to questions, the Staff Union President noted regarding the RSG’s background that she had provided explanations about her experience with the Maryland pension fund, and that those questions had emanated from media reports. A participant noted that the major changes needed were unlikely to be effected through petitions or by engaging the General Assembly. Efforts to engage the GA on the ICSC package had been unsuccessful, she said. Another suggested that efforts be made to find ‘common ground’ among agency representatives on the Board. A participant wondered about the ways in which newly retired staff could get involved, given the ‘technical language, controversy, and acrimony’ surrounding pension issues. The Fund’s Chief Communications Officer stated that he was present at the briefing to represent the CEO, and that there would be a town hall meeting in Geneva, and a week later another town hall in New York with the CEO and RSG (dates not provided) and that numbers related to the status of the backlog in pension payments could be found on the Fund’s website. CCISUA stated there were large structural issues that needed to be addressed. Changes were needed in senior management at the Fund as well as on the Board. There were many parties to the process. It was important to engage the agencies and members of the Board in this effort. Elections of participant representatives were upcoming and it was important to pay attention to evaluating the candidates. It was suggested that retirees join and become active in the retiree representative organization, AFICS, and FAFICS (the federation of UN retiree organizations, which has six seats on the Board) and ensure that change comes. UN staff federations would work with agency representatives on the Board. As owners of the Fund, all stakeholders must take more interest and get more involved in matters regarding the Fund.